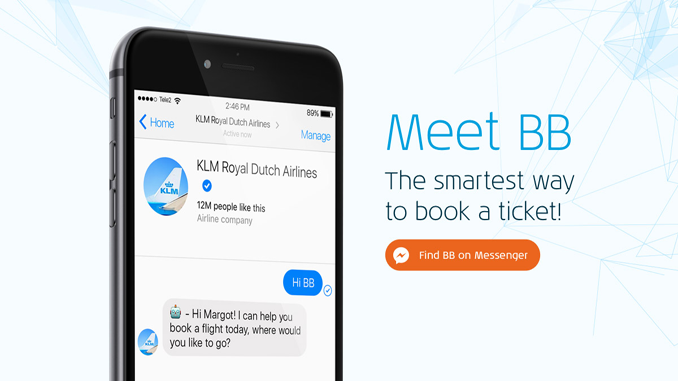 KLM passengers can now book tickets in a conversational way via a service bot on KLM’s Messenger. 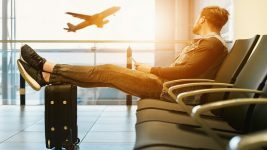 The Dutch airline has introduced a chatbot called BlueBot (BB) that uses artificial intelligence to help passengers make bookings without the intervention of a KLM agent. BlueBot is self-learning and has her own personality described by KLM as helpful, friendly, professional and edgy. Presumably an attempt to add some human touch to the bot. Whenever BlueBot isn’t able to help passengers further, she will refer them to one of KLM’s 250 supporting human service colleagues. BB will soon be able to offer more services and be compatible with different digital channels, including voice. KLM is well known for its personal approach. On social media, we offer 24/7 service with our team of 250 human agents, handling more than 16,000 cases a week. Volumes will continue to grow. At the same time, customers require a speedy response. 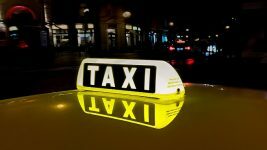 We have therefore been experimenting with Artificial Intelligence to support our agents to provide a personal, timely and correct answer. With BB, KLM is taking the next step in its social media strategy, offering personal service through technology, supported by human agents when needed. KLM first started a trial of artificial intelligence to answer passenger questions in September 2016.